XLanesLA - Karaoke var slideimages = new Array() // create new array to preload images slideimages = new Image() // create new instance of image object slideimages.src = "images/playheader.png" // set image src property to image path, preloading image in the process slideimages = new Image() slideimages.src = "images/playheader2.png" slideimages = new Image() slideimages.src = "images/playheader3.png"
Looking for something to do tonight?! Sleek and modern, XLanes is brand new to the karaoke and blowing away the competition. Perfect for parties, corporate bonding and bachelorettes. 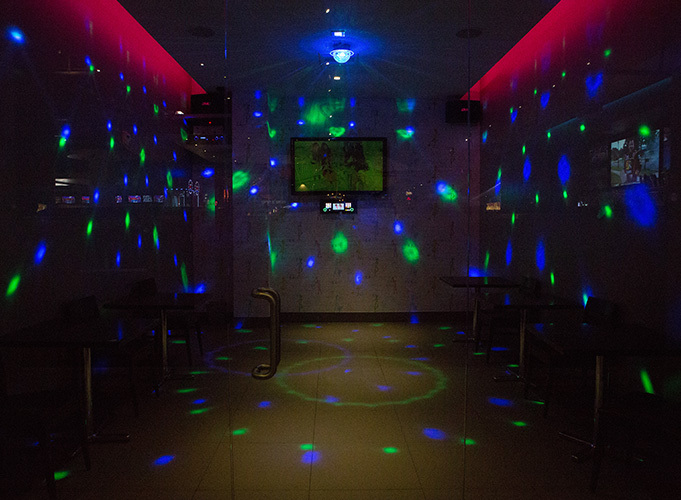 Enjoy with Powerful Sound and High Quality Video with over 100,000 songs in Private Karaoke Rooms for an impromptu performance.